You have read and understood the document. You are capable of purchasing this type of products or services, even though we suggest being of legal age in order to purchase them. You assume all of the obligations stated herein. The present conditions will be valid for an indefinite period of time and they will be applied to all the contracts done through https://www.hsnstore.com/buy/. The provider reserves the right to modify said conditions unilaterally. However, this will not affect the goods or promotions that were purchased before the said modifications, unless there was a mistake. 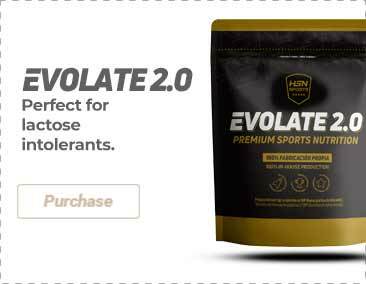 Harrison Sport Nutrition S.L. (a limited company in Spain) CIF: B72077159. Cadiz Commercial Resgister 1/150/1.513 page: 236. This contract will regulate the purchasing contract between the provider and the user when the latter agrees to the terms and conditions during the purchase. The purchasing contract involves the delivery, a determined price change of a specific product or service that is publicly stated in the website. The conditions described in this page are only applied to orders placed on https://www.hsnstore.com/buy/. These products can be sold in Spain, including Ceuta, Melilla, the Canary Islands and the Balearic Islands as well. Check our shipping policy for international shipping. The pictures that we publish on our website are real and they correspond to the product that you are purchasing. The currency will be euros. The price of each product includes the value-added tax (VAT) or other taxes that can be applied. They will be expressed in Euros (€). The price of each product will be published on the website and applied automatically at the end of the purchase. It will also included the taxes, delivery or other services. The customer assumes that the value of some of the products will vary in real-time. In any case, this will always be previously announced. Every purchase will generate an invoice on behalf of the registered user. Said invoice will be automatically sent to the email address provided by the user. Moreover, it will be uploaded to the customer account and it will be included in the order as well. The stock availability will be subject to the final confirmation on behalf of the provider. Initially, it will be next to each product. The user will be able to contact our customer service in order to get information about the order, either by calling at +34 958 490 853 or through this contact form. The user will be able to consult the order status through the customer account. Then, you can either go to your cart or keep on shopping. If you are done, go to your shopping cart. If you are a registered customer, you will just have to log in. If you are a new customer you will have to fill in the requested information. In this section, you will be able to select both the shipping and payment method. Moreover, if you did not use a coupon in the previous step, do not worry, you can do it now. Then, you will obtain your order number and an e-mail with all the purchase information. If you see any mistake you just have to send us an email or call us. If your credit card is not accepted by the bank, the order will be automatically cancelled. You will be able to place an order again with another card or payment method. If you have any question, you can e-mail us or call at +34 958 490 853. Your order will be shipped according to the method that you chose. The products will be dispatched after you complete the payment and we receive it. The purchase will not have been completed otherwise. The cash on delivery method is an exception to this rule. In this case, the contract will be completed when we send you the e-mail with the purchase confirmation. There is a possibility that a selected product is out of stock. In this case, we will have to request the product from the official distributor. This may delay the delivery up to 15 days after we receive the payment. In any case, the we will inform you if this happens. Even if the product is in stock, there may not be enough to meet an exceptionally high demand. In such cases, we will ship the products available in order of request, informing those users who need to wait and the estimated delivery time. This may be done by phone or e-mail. For all purposes, the delivery of the product will be completed at the time indicated on the delivery note. However, if you want more information regarding the shipping, price, delivery time and more specific aspects, we suggest checking the "Shipping" section. You have to use the same cardboard box that the product came in to make sure that it is well protected. If you do not have this box, you should use a good packaging to ensure the product arrives in perfect conditions at our warehouse. The product must be unused and in the same condition that you received it. It must come in its original packaging with all the labels and accessories. We will refund the price that you payed for the product(s). We will not accept returns with unpaid postage. We will not accept products that have been opened. We will not accept sealed products that have been opened after being delivered. We will not accept loose accessories that come with other products. Once we receive the return request, we will proceed to refund the price of the returned product(s). The return request has to be presented in a period of 14 natural days after receiving your order. The refund will be done through the same payment method that you chose or through bank transfer. The shipping cost will be payed by the customer and/or user. Include an invoice copy in the box and mark the products that you are returning. Contact us and provide all the information about the product(s) through this contact form. Prepare the package according to the previous requirements. Once we receive the product(s), we will proceed to examine everything and we will inform you if you are eligible for the refund or not. The customer will be refunded the total cost of the purchase, including the shipping cost (only for peninsular Spain and Portugal). The refund will be made as soon as possible and, in any case, within 14 days since we received the return request. The refund will be done through bank transfer to the same person that placed the order or you can get discount points for future purchases. The customer will have to send a contact form with the necessary information to make the refund. The customer will assume the cost and the risk of returning the product(s). The product(s) has to arrive in the same conditions that it was sent and received, otherwise we will not make a refund. Clearance products cannot be returned or refunded. The product size and format that appears on our website may change due to a packaging redesign or formula readjustment. It can take us some time to receive the new product and to update the information on the website. However, since they have the same reference, we will not accept returns in these cases. If you think that the product is not the one you expected or if it arrives broken or damaged, you can make a complaint within a period of 14 days after receiving it. You just have to follow these steps. Send us a picture of the product so that we can check how damaged it is. Once we receive your complaint, we will contact you to explain how to proceed. Once we receive the product(s), we will proceed to examine everything and we will inform you if you are eligible for a refund or replacement. We can change, refund or replace the product and it will be done as soon as possible, in any case, within 14 days after confirming that we accept your complaint. If we accept your complaint but there is no stock to replace the product, we will proceed to refund the cost of the product including all the delivery costs. A partial return and/or cancellation will mean that we will make a partial refund of the cost of the order. The shipping cost will not be refunded since it is a partial return. The refund will be made to an account that belongs to the same person that place the order or with discount points for future purchases. * For international orders, the complaint period will last 7 days after the product is delivered. HSN offers the possibility of making the payment through bank transfer. The bank information will be shown during the purchase. It is important to include the order number as a reference when making the transfer, so that your payment is processed as quickly as possible. The payment will be effective between one or three working days. The order will not be dispatched until we have proof that the payment has been properly processed. However, if we receive a payment confirmation from your bank the process can be completed faster. There are no commissions for payments made by this method. The payment will be immediately effective and your order will be dispatched as soon as possible. HSNstore has a secure payment gateway which avoids the fraudulent use of credit and debit cards. All the information collected during the payment process is coded and contrasted with the bank. The security of communications is ensured with an SSL certificate. We comply with the PCI/DSS regulation regarding the transactions and anti-intrusion testing. Transactions are processed with secure 3D and other anti-fraud systems. Cash on delivery is available only for peninsular shipping (including Portugal). There are no commissions for payments made by this method. Payment is handed to the carrier when the order is delivered. The customer needs to have the exact amount in cash to pay the carrier. The orders are dispatched as soon as possible. There is a commission of a 3% of the total cost of the order. All the products that are available are original, with a certified factory warranty and no defects, in principle. All of them have a 2 year factory warranty (in the case of non-food products), it starts to work from the moment it is delivered. We will repair, replace the article, make a discount or a refund in the legally established terms in those situations that justify the use of the warranty. The warranty will lose its value if some of its information is modified, altered or replaced. The warranty does not protect against negligence, hits, misuse, nor materials which are worn out due to its normal use. These conditions will be regulated or interpreted according to the Spanish legislation. The provider and the user agree to discuss any issue regarding the products or services that are subject to these Conditions, to the corresponding Judges and Tribunals depending on the user's address. At the same time, the provider and the user will be able to take their conflicts to the arbitration provided in the legislation and defense of consumers and users, and to the extra-judicial resolution procedures established through conduct codes or other self-regulating tools. We adhere to Online Trust. Check more information about the shipping cost.